This site is owned and managed by GK Home Watch on-line (hereinafter referred to as “GK Home Watch”, “we”, “our”). 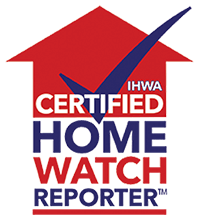 Material on GKHomeWatch.com or on any other web site that is owned, managed, licensed to or controlled by GK Home Watch may only be used for the purposes for which it is made available or explicitly intended by GK Home Watch. The adaptation of this material, or its use for purposes other than those for which it is made available or intended, breaches GK Home Watch’s copyright and other proprietary rights. GK Home Watch reserves all rights in this respect, and will take legal action if necessary. Users may not use GK Home Watch’s name, logos or other material without GK Home Watch’s express written consent. No software may be downloaded from this site. To the extent necessary, GK Home Watch declares that it holds exclusive and full proprietary rights to its software, and that it does not transfer these rights. Users of our products and services are fully responsible for the use of all the material that they enter in our system. GK Home Watch can in no way be held liable if one or more of its clients and/or users in any way breaches or disrespects copyrights or abuses another party’s rights or protected products (i.e. : without obtaining reproduction rights! ), or in general infringes upon legal or contractual provisions or generally accepted standards of due care. GK Home Watch reserves the right, at all times and without stating reasons, to refuse to supply products and services to users or to remove user’s information from the system (including, but not limited to, cases involving pornographic material, breach of privacy, breach of the deontological code of Esomar or illegal activities). The details of a user’s registration are password protected, so that only the user and GK Home Watch have access to the user’s personal information and can view, remove, correct or cancel the details of the user’s registration. All email addresses that users of our products and/or services use to login, as well as billing email addresses, must be valid and actively used. If not, GK Home Watch reserves the right, at all times, to refuse to supply products and services to these users or to remove their information from the system. Our free trial survey is for testing and evaluation purposes only. Each user has the right to only one free trial survey, unless otherwise permitted by GK Home Watch. GK Home Watch welcomes feedback from its loyal clients, and enjoys receiving users’ comments on GK Home Watch products and services. All ideas and suggestions are welcome, and GK Home Watch will take them into consideration. However, we cannot offer any guarantee that such ideas or suggestions will be implemented. We must request that users are specific in submitting their comments about these products and services, and that they not send us any original source code. We hope our users will understand that the purpose of this request is to prevent future disputes should other people believe that projects developed by GK Home Watch’s professional staff resemble their own creative work. If users send ideas, annotations, concepts or other information (together referred to as “Information”) despite our request that they not send any source code, the Information will be regarded as GK Home Watch’s property. GK Home Watch will be the sole owner of all existing and future rights with respect to Information of any sort and nature whatsoever, and will be entitled to unlimited use of the Information for all possible purposes, commercial or otherwise, without owing compensation to the submitter of the Information. GK Home Watch will not be obliged to keep any of the Information confidential nor will GK Home Watch be held liable for the use or disclosure of any of this Information. Furthermore, GK Home Watch can in no way be held liable if the submitters of the Information in any way breach copyrights, ignore copyrights, abuse another party’s rights or protected products (i.e. without obtaining the reproduction rights! ), or infringe upon legal or contractual provisions or generally accepted standards of due care. This agreement remains in force until it is terminated by one of the parties. Users may end this agreement at any time by logging on to the GK Home Watch Site, using their account name and password, and then going to ‘My Account’ and clicking on ‘Close my Account’. The material the user has entered in our system will be removed immediately. GK Home Watch may also at any time and without prior notice, terminate this agreement if, in the exclusive judgment of GK Home Watch, the user does not fulfill a condition or comply with a stipulation of this agreement. This agreement continues to apply to the use of our products and services dating from before the date of termination. Users are obliged to fulfill their obligations toward GK Home Watch with regard to them. All payments made are non-refundable and all outstanding costs remain payable. GK Home Watch offers no warranty of any kind on the products and services offered on this site, be it explicit, implicit, or regarding their suitability for a particular purpose. GK Home Watch does not guarantee that its materials will work continuously or without error, or that this site or the server hosting this site will be free of viruses or other harmful elements. GK Home Watch will, however, do its best to correct any errors in the program. GK Home Watch has the obligation to perform to the best of its ability to guarantee the workability of its product and corresponding services. Furthermore, GK Home Watch gives no guarantee of precision, accuracy, reliability or otherwise with respect to (the results of) the use of the services on this site. The user bears all costs for any maintenance, repairs or improvements that may be required. GK Home Watch incurs no costs in these matters. Under no circumstances will GK Home Watch’s total liability toward a user (be they parties to this agreement or third parties) involving all cases of damage, loss and legal actions (either as a result of contract law, unlawful act, including but not restricted to negligence) or otherwise, exceed the total invoiced amount (excl. VAT) that was dated and that the user paid to GK Home Watch within the last 12 months. GK Home Watch cannot be held liable for special damage or consequential damage resulting from the use of the services on this site, nor for the inability to use the services on this site. also indemnifies GK Home Watch for other possible claims by third parties who suffer damages in connection with the performance of the services and which are attributable to the user. Please be aware that while visiting our site users can follow links to other sites that are beyond our sphere of influence. GK Home Watch is not responsible for the content or operation of these other sites. Eventual price increases will be communicated to our customers before they take effect. The customer is then free to decide (as always) if they wish to continue using GK Home Watch’s services. Clients that have chosen for a subscription model will automatically have their subscriptions set to auto-renew. Clients can turn off the auto-renewal by signing in to their accounts or sending an e-mail to us. Clients who choose not to renew their subscription will at the end of the subscription period be switched to per month if they are billed by invoice or to per project if they use credits.